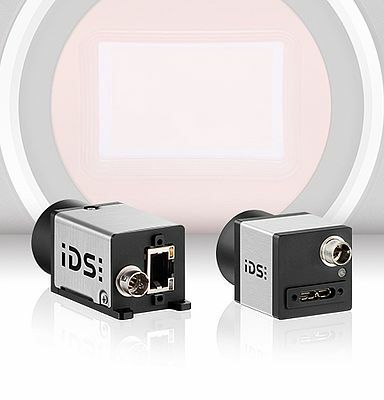 The new USB 3 uEye CP industrial camera series is the fully re-engineered generation of the proven IDS' CP family with access to modern high-performance sensors e.g. brand-new 2.3 MP Sony IMX249 CMOS sensor. It represents a budget-priced solution, providing perfect image quality with frame rates up to 41 fps. Just like its "bigger brother" Sony IMX174, the new 2.3 MP Sony IMX249 CMOS sensor (1920 x 1200 px, 41 fps) provides excellent low-noise image quality, and sets new standards in terms of light sensitivity, dynamic range, and color reproduction. Users who do not want to primarily benefit from the speed and the range of features of the Sony IMX174 (161 fps) but from a budget-priced option, they opt for the IMX249. Both sensors of the Sony Pregius series deliver a perfect image even in low-light applications e.g. ITS or quality assurance. In general, the robust USB 3 uEye CP Rev. 2 is highly suitable for continuous operation in industrial plants, allowing your processes to run efficiently. Depending on the measuring technology used, it is suitable for the optimum monitoring of traffic and for preserving evidence in the event of traffic violations. Available with proven IDS Software Suite for perfect results.